National Hobby Shop Day is Saturday, December 8th. Sports Cards Plus, a.k.a. The Super Hit Factory is using this celebration to share with our customers everything that is GREAT about our hobby. Sports Cards Plus is going to make this a REALLY HUGE GIGANTIC 8-DAY Celebration with FREE PACKS, DRAWING PRIZES, CONTESTS and snacks. Starting Monday, look at our Facebook posts and Twitter Tweets for "Daily Specials." DRAWING PRIZES (Drawing held Tuesday, December 12th). 1 FREE Entry to our Dec 12th Drawing with each $100 purchase. DAILY DRAWINGS. Get 1 FREE Drawing Entry with each $100 you spend at Sports Cards Plus THAT DAY. 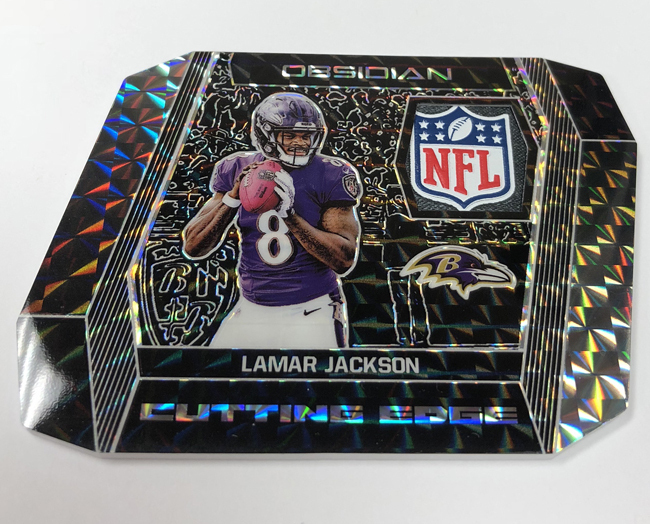 2018 Panini OBSIDAN Football ($150 per box) arrives at Sports Cards Plus, a.k.a. The Supper Hit Factory. FREE BOX GROUP BREAK at 6:30. --- We will pick 7 WINNERS from our Drawing Tickets for Monday, Tuesday and Wednesday. Each WINNING TICKET getting 1 FREE Spot to this 6:30 FREE Group Break. JSA will be at Sports Cards Plus from 2 p.m. to 7 p.m. to review your autographed items for certification. See JSA website for review fees. --- FRIDAY DRAWING FOURTH PRIZE: a eBay $10 Gift Certificate. SATURDAY & MONDAY Dec 8th & 10th are combined, with Drawing held COB Monday. --- FIRST PRIZE: 2018-19 PRIZM Basketball 20-Pack Retail Box. --- SECOND PRIZE: 1 FREE Spot to our next 2018 Panini OBSIDAN Football BOX GROUP BREAK.